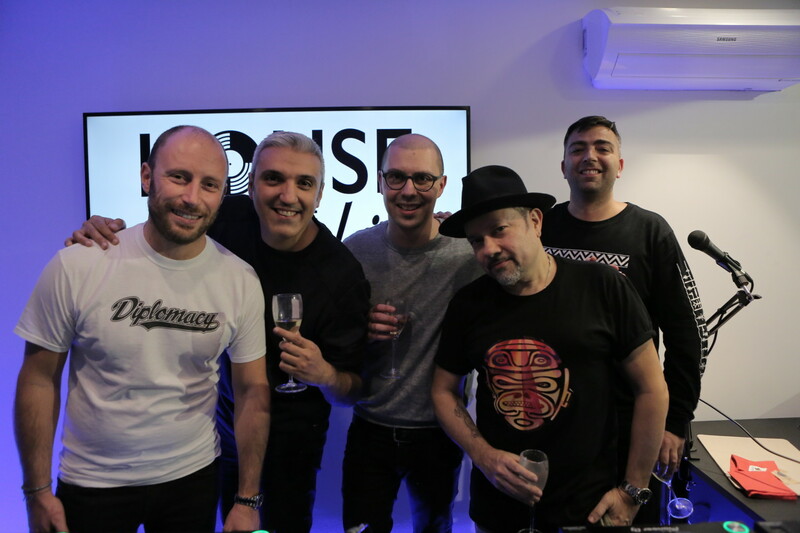 The Maestro joined us at our HQ in Milan where he also performed a 2-hour DJ set. We had the pleasure to interview Grammy Award-winning DJ, Producer, Songwriter, Entrepreneur and Label Owner Louie Vega. 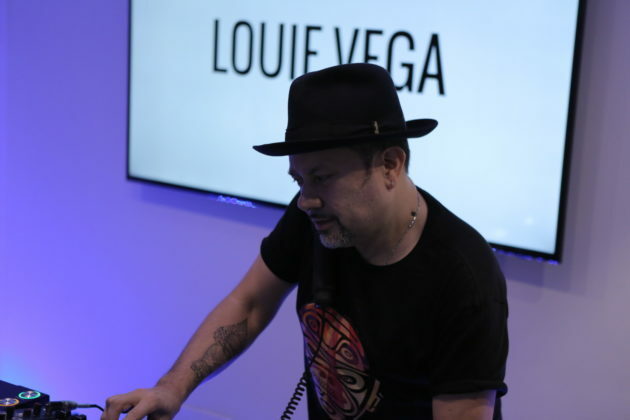 During the chat, we talked about his career, Masters At Work, his next projects, his 2018 Grammy nomination for Best Remixed Recording with his Loleatta Holloway‘s ‘Can’t Let You Go (Louie Vega Roots Mix)’ and much more! Hello and welcome my name is Randy Peterson for House of Frankie. I’m here at the House of Frankie HQ in Milan and I’m with a man who doesn’t really need an introduction. 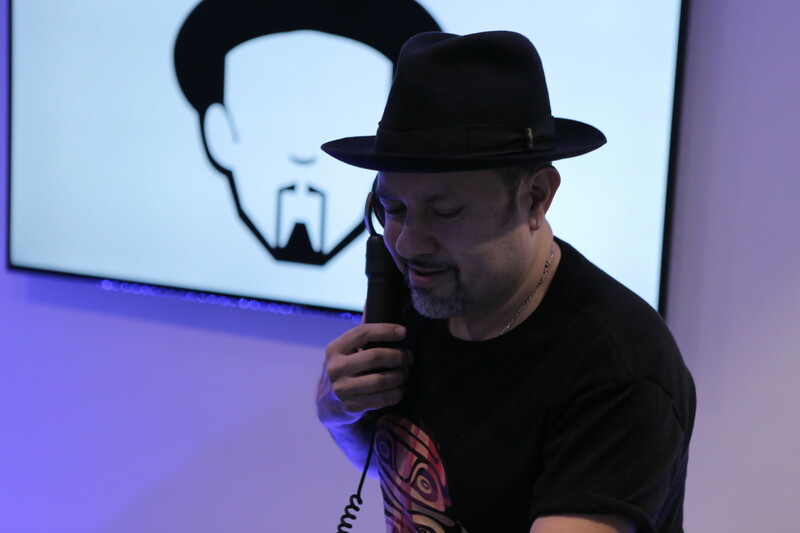 House music royalty right here, super DJ, producer, remixer Louie Vega. Thanks for coming Louie! Well I’m happy to be here man, this is a wonderful thing you’re doing here. Oh, great stuff. Thanks for dropping by. I’m just gonna touch base with you first, just on your music and the stunning album you brought out just over a year ago, ‘Louie Vega XXVIII‘. Could you tell us the reaction and the feedback you’d be getting for the past year on the LP? 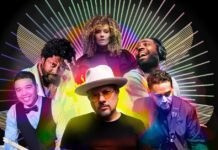 Well, you know, I had the pleasure of working with such great artists on the album, like Jocelyn Brown, Monique Bingham, Bebe Winans, George Clinton… you know the Elements Of Life, my family, Leroy Burgess. It was just the cream of the crop of the history of dance music to me so, I had a lot of help, I had a lot of good help and for me it was really wonderful that everybody really appreciated and braced the album and especially get nominated for Grammy for Best Electronic Album. It was a big deal because it was the first time House Music got that far to get an entire album nominated. It was a real kind of wake-up call to all of us because I think everybody needs to believe that our music can reach those heights and further… you know what I mean and those doors are open now so I’m hoping that a lot of other producers are gonna start creating albums and really take steps out of the ordinary when they’re making their music. Sure, ok! And you also brought out some unreleased and remixed tracks from the album. Could you tell us a little bit about that and are there anymore to come? Well, when you make an album, you don’t just do 28 songs, you probably do 50 or 60. I had a lot of tracks that never made it on the album or that are just good tracks that can be played at clubs. DJs, I think, or just somebody who’s a fan of the music are really get into them and so, I thought it was best to put out a third part of the album. It was a three album, three vinyl pack, and it had all the unreleased material. And this also just sparked up new idea too. When I went out to Amsterdam, I said “Let me do a 5-pack vinyl, of all unreleased material” because I make a lot of music in the studio and when I make music it could be 10-12 tracks a week and I would use 3 of them. I have a lot of leftovers and a lot of good pieces, so I thought “Let me put out a 5-pack vinyl, 10 unreleased songs” and it was a hit. People were really into it and from Amsterdam, which was in October, there was a big demand for it for the people who weren’t able to be at Amsterdam too because it was sold out. So, now I’m doing a Phonica on January 3rd in London. I made more of the 5 packs to bring out to London and I will play a live vinyl, all vinyl set at the record store. I’m looking forward to that myself, I’m sure. Yeah, I think that’s what it’s about, it’s about being creative and come up with things that I think that the fans really love… and you know I notice that the streaming live thing is so huge. I could play in a record store for a hundred people but a hundred thousand people are watching it. You know what I’m saying, so, they wanna get the music too and I think it’s a really good thing. Now we have all this great outlets like what you have here to be able to expose our music to the masses and I think we should take advantage of that. Sure. Was there anyone you would have liked to work with on the album but you couldn’t actually sort of getting going for some reason? On the album, I’ve pretty much worked with a lot of who I wanted to work with. I mean, I would love to have Stevie Wonder on that…. Oh, big dreams, but, you know, I think that nothing’s impossible these days! And now, in fact, I’m working on a project for Luther Vandross, who did a ‘Never too much’ album. He had two songs that he recorded that never came out, so they brought me the songs and I went in and did my things to them. It sounds like if he sang it yesterday, it sounds really wonderful… So I thought of one of the songs and I said “you know what? this song is like a rhythm guitar, why don’t we get Nile Rogers to play on it?”. Thus, I asked my friend Fonzi, who is the one who hired me to do this project with Legacy Records at Sony, and he said it was not impossible because he used to be in the group ‘CHIC’. So, he called Nile Rodgers and he said “I would love to do it” and then we had a long talk on the phone. It was great, so, you know, I think that you can dream but you can also work hard to make them happen and never think that they can be impossible. Sure, I can understand that. So, you’ve been nominated for a Grammy. In 2006 I do believe you won a Grammy for Curtis Mayfield a track you remixed, Curtis Mayfield’s “Superfly”, and you’ve been nominated quite a few times after. This year you’ve been nominated for Best Remix Recording, for the track “Can’t Let You Go”. Could you tell us the process that lead up to sort of doing that remix and if you have a memory of Loleatta, the great disco diva. Of course, I have amazing memories with her. I’ve seen her performed many times and we also did a show together in Tokyo, at a club called Ageha. It was Joceyln Brown, Loleatta Holloway, Wummie and myself DJing… It really was an amazing party and I got the chance to really talk to her that time. A very close friend of her, Loleatta partner, was Yvonne Turner, who is a producer that I looked up to for many years. She made a lot of great records, she worked with Willy Kalon… oh goodness so many great artists and she has made a lot of club hits, big records in the Paradise Garage and Zanzibar era. She reached out to me and by last year she said “Louie, I have this track that I recorded with Loleatta Holloway and I produced this song for her but we never put it out”. It was never released, so she said “You know I would love for it to be on Vega Records and I’m sure, I believe she definitely wanted to work with you cause you could do the right thing for it“. So, I was “Oh Man! Let me get that song“, and I heard it and the whole production was amazing. Then, I said “Well let me do a remix on it too, so I can get a new flavour for the clubs”. The next thing we know was my label manager Zoo Laker Martin, she submits our music to the Grammys, it made it and for me it was wonderful! But I gotta thank Yvonne Turner because she believed in myself and Vega Records and our family to be able to release the song and do right by. I also had a Richard Wilson, who is an artist from the UK who painted a huge mural of Loleatta Holloway and it actually became the cover of the record. We went all out and really tried to represent in the right way for Loleatta and bring her out properly. But this Grammy nomination is icing on the cake, because I didn’t expect it. I mean, my remix is pure underground sound, so for that making it to the Grammys, it’s already a winner for me. Well, good luck with that! I really hope you win, the whole direction, all the house music, we want you to win. Well you know get ready man! I’m gonna get a new suit and everybody is gonna get dressed, everybody’s coming out, you know, Josh Milan, Yvonne Turner, my son… like, we’re all going to the Grammys cause it’s in NYC. It’s gonna be massive at Madison Square Garden, and the ceremony where they have the remixes and a lot of other categories – cause they can’t do all at night, they can only do, I believe 15 of them or something like that at a time but there is a lot more, so they do during the day too – it’s gonna be at Madison Square Garden, Paramount Theatre. So, it’s gonna be really nice, so we cross our fingers! Anyway, it’s great to be nominated man, just for that song to get that far, I did it just for the clubs, for our dancers, so I’m really proud of it. Wonderful stuff, great stuff. Louie, I’m just gonna touch base with you about a moment you considered one of your biggest house music performance in the world. You were born in the Bronx, you come from a family of musicians and artists, could you tell us about your upbringing and how you were able to become a DJ? Well you know, I’m from the Bronx, I came at a time when Afrika Bambaataa, Jazzy J, Red Alert, Afrika Islam were throwing jams down the projects. My sisters went to The Loft and the Paradise Garage, The Gallery… you know, they went to all the discos, even Studio 54, and they taught me a lot about underground dance music. Because, you didn’t hear it on the radio since this wonderful fusion of disco, jazz, you know world, everything, all these different kinds of records I’ve never heard before, these avant-garde disco records I would hear from them. I also got a lot of schooling from them and from a lot of my friends who were DJs. They were older than me and I wasn’t a DJ yet, so I just hung out with friends of mine who were DJs. One of them was doing weddings, sweet sixteens, so I would help him, you know, carry the records, set the equipment and next you know I said “Can I borrow two crates of your disco collection?”. He had a great disco collection, so I would take the two crates to my house with the turntables and the mixer and practice, I was like 13/14. So, I’ve been Djing since about when I was 12/13. At 12 is when I saw my other neighbour, a good friend of mine… his older brother had breakbeats and I wanted to do what Jazzy J was doing, so I watched him. I was in the same neighbourhood of Jazzy J and one day I gave him my tape. He heard it, he took it but I never heard back from him. But since I used to hear his car – he had a big sound system – one day I heard he had my music in it, so I thought “I know that’s not his music, that’s my music!“, and finally he said he loved playing my tape. That’s how I started hanging out with them and going to like The Roxy. I was there when Beat Street was made, I was just a little kid watching all the breakdancers. So, I mean, I think I am up just like anybody else, you know when you’re interested in something and you’re having ambition, you can make it happen and that’s what I did. I just hung around a lot of people that made music, that played music, and I lived it for many, many years until I got to do my own thing. Ok. you had your first residency in a place called Chez Sensual? Yes, well, actually I did three party at the Chez Sensual, and the great thing about that club, is that it was the only club in the Bronx that had a Richard Long Sound System. Richard Long was one of the sound systems at the Paradise Garage and Zanzibar and many other clubs in New York City. So, he only did one club in the Bronx and it was Chez Sensual. It was a small Richard Long sound system which sounded amazing. I had a few parties there, I did three parties. And my sister, she used to cut hair, she had a hair shop, so we used to sell the tickets at her shop to all the kids. So, I started by doing high school parties, and when I did the high school parties all the kids from the high school parties followed me into the clubs. That was my crowd that I started with, it was the kids of my neighbourhood. When I did Chez Sensual, the third party that I did, there was an artist that I brought in to perform, that was Niobi. She was part of the whole freestyle scene, one of the first freestyle artists, that came out at that time in 1984, I think it was, and we had her manager and her label was Fever Records. Fever Records was the Hip Hop club Fever as well, where all the greats played. Many DJs played at this club and in the hip hop scene it was The Club. 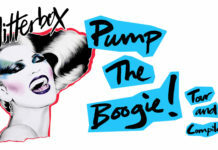 It was the club that Debbie Harry went to in the early 80s, when she started putting rap on her records, inspired with Phat Phat Freddie (he brought her up there). So, they would opening a dance club and said “Louie, we’re opening a dance club it’s called the Devil’s Nest and we had opened for a while, we did Salsa Music but it’s not doing well anymore so we want to bring this music and this crowd to that club”. That was my first real job at a club and was at the Devil’s Nest. Was it just house music that you were playing or was it an electric mix of music? That’s when House Music first came out. I was playing an eclectic sound, from early 80s Electro, music from the Fun House, music from the Paradise Garage, music from The Loft, music from Zanzibar… a combination of all those sounds of clubs that I went to. I love their sounds, so I created mine. Also, the freestyle sound which started that freestyle and which was more like Niobi, groups like Information Society, Noelle and the Cover Girls, they all started at the Devil’s Nest. I was just a 16 year-old, I was playing, I was young too, we were all teenagers and I was playing for the teenagers. That was great, great parties, it was all scene, they dressed a certain way, they danced a certain way, it was a movement, it was definitely a movement. But back then I also played house music, ‘cause I loved house music from going to the Garage and Zanzibar. I started playing house music as well when it first came out on Tracks Records, DJ international… you know all the great labels, and all the artists, we had them at the club too, like Mister Fingers, Robert Owens and Liz Toress… I mean, we had them all. After the Devil’s Nest, where I played only 9 months, from ‘85 to ’86, then I went to a club called Heart Throb which was the former Fun House. And then from a club that played over thousand people I went to a club of three thousand people in NYC and then that was it. I was playing every Friday and Saturday for like 3 thousand kids you know and I was a kid too. We were having a great time. But I used to play till 5 in the morning and then there were 30/40 people that used to go to the Paradise Garage. 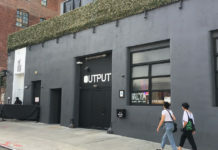 The whole crew used to go together right after the club, because we had to go hear Larry Leven, that was the inspiration, also Tony Humphries, and a lot of other guys, David Morales who played at that time in amazing spaces too, Kenny Carpenter, and, you know, Frankie Knuckles when he came to ‘The World’. That was a big deal. It’s funny cause I was gonna ask you a question about Frankie Knuckles. As you know House of Frankie, our project here is dedicated to Frankie Knuckles. What did Frankie mean to you? Frankie was a mentor, he was our teacher. I mean, he’s the one who first took this music international in such a big way and opened the doors for all of us. So for me Frankie was everything to us, I mean he’s like our Quincy Jones, you know, he’s our Stevie Wonder. Frankie was a really humble person, he was sweet, he was family to all of us, he was really a good person. He wasn’t afraid to open his arms and embrace the youth, he was always trying to help a lot of young people. He always welcomed you and gave you advice, he would listen to your music. 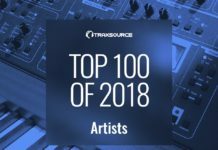 I mean, he was one of the first ones who brought Masters At Work, because when we first came out in 1990 – which was 27 years ago I can’t believe that – but when we first came out we brought our music to a few DJs and it was Frankie Knuckles, Tony Humphries, Junior Vasquez… they were the first ones we used to bring our music to play them in their clubs when we finished making them in the studio. So, Frankie was one of the first to break the Masters At Work sounds to NYC. Ok, it’s good to hear that, nice story! So, amongst your solo work, you’ve worked with Kenny Dope as the Masters At Work. It’s been a little while since we heard some Masters At Work music, all those great songs you made, in 90s and the early 2000, I mean are we gonna get anything in 2018? Yeah well, the last two songs that I played on the show are Ken-Lou. So Kenny and I had definitely, we just worked in the studio 3 days ago. Before I came here he asked me to come down and played one of his projects and we started talking about making more music again and getting together at least in January 2 or 3 times a week because we want to get together. I mean, I got together the other day with him for 2 hours and we did two tracks…well I mean it was just the inspiration, when you’re in there. Kenny has a lot of synthesizers a lot of great sounds and when I hear them and I play, it’s just like ideas come together, he makes a beat and I just go in or visa versa I might do something and he’ll make it hear for it. It happened man, I can’t explain it but there is definitely a magic that happens when Kenny and I get together. Sure. So, Louie, as well as the ‘XXVIII‘ album that you’ve been promoting this year what else have you been doing in 2017, collaborations, the places you’ve been, people you’ve been working with. Well right now I’ve just finished a single that’s coming out with The Martinez Brothers. They had asked me to come in and make a record together and I said “Let’s go in the studio and let’s see what happens“. We wanted to do one track and we did like 12 tracks, so it’s become like an album, it’s a bigger project than we thought it would be. We’re taking our time with it but the first single is coming out on January 25th and it’s called “Que paren la puerta” and it’s The Martinez Brothers and Louie Vega featuring Héctor Lavoe. Héctor Lavoe is my uncle who was the greatest salsa singer of all time, so, we’re really proud of that record because it’s like three generations on one record. We’re gonna release it on the 25th of January on Cutting Heads, their label. We also have a remix by Luciano, which is amazing, he did a great, great job on the remix so we’re really excited about the project, it’s a wonderful package, a wonderful music for a lot of different genres to play. Now I’m going to ask you about your plans for 2018. Could you get a little insight on what you got in store? Yeah, also, I collaborated with Joseph Capriati, for his album which came out really, really nice, I really enjoyed working with him. I also have a new Be Be Winans that’s coming out called “He Promised”, which is really a hot record, I’m really excited about that. Also, E.O.L. Soulfrito which is my band, so I created that band, a more compact band, because, you know, Elements Of Life is a big band and with Elements Of Life you have like 14 people, with EOL Soulfrito you have 7, so we created this smaller band doing instrumentals and then we do a couple of vocals at the end. Josh Milan is in the band, you know officially, so he’s part of the family. Lucito Quintero who plays drums, percussion, we have Gene Perez plays bass, Axel Tosca playing keyboard and on occasions we bring one or two other musicians as guests and our background singers Ramona Dunlap and Biddy. So, you know it’s a really wonderful project. We have one single out called “Upright Love”, we have a new one coming out called “Soufrito Burning”… look out for that because we’re gonna be performing in a lot of venues like the Blue notes and Ronnie Scott’s and festivals, B.B. Kings, House of Blues… places like these we wanna do. I know you’re gonna be playing at Groove Odyssey, in February is that right? Yes, Groove Odyssey in London on February 10th, yes. I’m gonna ask you one more question Louie. As you DJing around the world and you have played in so many different venues, what’s your equipment of choice? What CDJs, what headphones, what mixes do you prefer to use? Well, right now I’m using the Model 1 mixer. I really like that mixer, it was designed by Richie Hawtin and PLAYdifferently. It’s a wonderful sound that makes, the filters are amazing and I have a lot of fun with that mix, I also use 4CDJs, I use an isolator as well, on occasions I use RMX but now with the Model 1. I keep it very simple, it’s just freeway, isolator with the Model 1 and 4 CDJs. Well Louie, that’s the end of the interview, thanks for joining us and thanks for talking with me, and have a great Christmas, have a great hit tonight at the Tunnel and yeah, have a great 2018. Thank you, thank you! Look out for this tons of new music coming from Vega Records. Also, you gotta check out NuLu, NuLu music that Anané’s label… music is super hot, she’s got some great great music right now actually. Also, Kenny Dope, check out Dope Wax, you know he’s got a lot of great music too. We’re all really stained, very creative because we’re inspired when we go out and play music for everybody… we go back and really get excited and make more music, especially when I play on my Wednesday night at Roots – that is my party in NYC, we’ve been doing it for 13 years now, every Wednesday is at Cielo in NYC – and that party inspires me to make lot of music, like really, really. The dancers, the people, just the vibe, the sound system, everything about that place and who goes there it’s about the people who go there. We have a lot of dancers we have a lot of seasoned musical people, so when you play something they’re gonna let you know they like it. Louie, thanks again, and have a great time tonight!